Warsaw will ask Russia to develop a joint position regarding the reasons for the plane crash, Tusk said at a news conference on Thursday. Earlier on that day he discussed the report with the country’s top officials. New negotiations on the issue should be conducted with Russia, Tusk said. If these fail, Poland will need the assistance of international experts, he stressed. Only a few of Poland’s comments have been included in the report, the premier said. Warsaw is insisting on the search for a joint position, he noted. 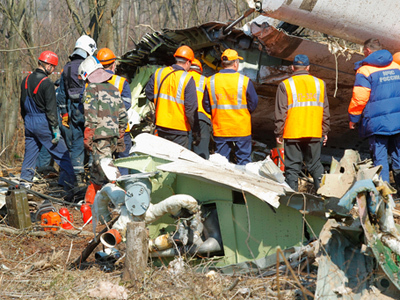 The Interstate Aviation Committee (IAC) published a report on Wednesday saying that the main reason for the crash of Polish President Lech Kaczynski’s plane last spring was the crew’s refusal to use an alternate air field. Air-traffic controllers warned the Polish pilots that landing near Russia’s Smolensk was dangerous due to bad weather conditions, the report said. 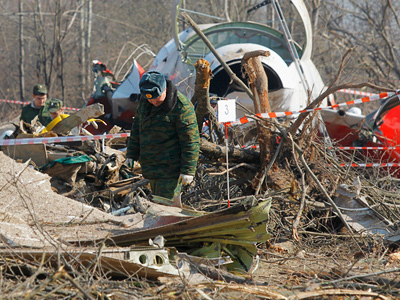 The IAC, a Moscow-based Commonwealth of Independent States civil aviation agency, is not commenting on the official Polish reaction, as it will only be voiced after the report is translated and thoroughly studied. 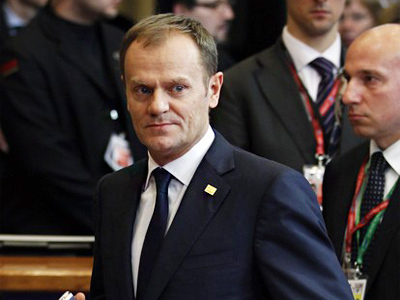 Tusk has cut short his holidays and returned to Poland on Thursday to study the long-awaited report. 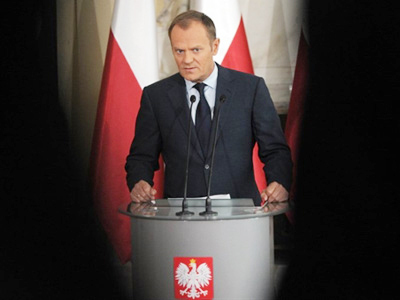 Poland will have the wherewithal “not to falsify anything” during the further investigation, Tusk stressed. At the same time, Poland does not discuss the IAC’s “essential conclusions,” the prime minister said. However, he highlighted “the lack of information” that mainly concerns the air-traffic controllers. The Polish report on the reasons for the crash should be completed in the near future. According to the premier, the government’s commission will finish it “as soon as possible.” It will try to describe the details “from both perspectives,” Tusk said. Everything will be “found out and presented to the public,” he said. 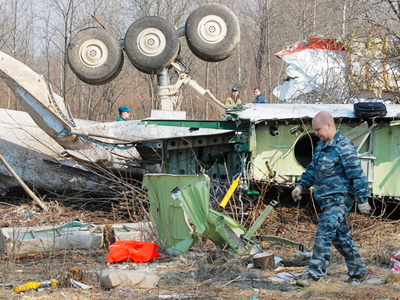 Moscow and Warsaw should work together to uncover the causes of the tragedy, Tusk said. But both sides should also think about “building good ties between the two countries,” he added. It is not ruled out, he noted, that bilateral meetings at the highest level will be held to understand “the complete picture.” Kind relations can be built “only on truth,” the premier noted, urging Moscow to co-operate. The talks are needed to find “truth rather than compromise,” Interfax quoted him as saying. They also suggest adopting a resolution condemning IAC’s report, calling it “unreliable.” Instead, an independent international commission should be established, members of the party believe. But any such meeting is unlikely to take place this week. Some Polish politicians and experts have already described the conclusions of investigators as “incomplete and erroneous.” They stress the whole picture will be clear only after the Polish commission submits its own account. Many in Poland have already had their say on the conclusions of Russian investigators. Jaroslaw Kaczynski, the late president’s twin brother and head of the opposition Law and Justice Party, has criticized the report and even described it as “an insult to Poland.” He believes that the committee has not offered convincing evidence that the Poles were solely responsible for the crash. Polish Interior Minister Jerzy Miller said that Russia has taken into account all of Warsaw’s comments and queries in the report, but the report does not reflect all of them. Anyway, Poland should be grateful for the report as “it indicates the next step in the investigation,” RIA Novosti quoted the minister as saying. Edmund Klich, Poland’s representative accredited at IAC, described the report as “incomplete and containing errors.” The document failed to describe the role of air-traffic controllers, he said, assuming they could have issued “misleading commands.” In particular, he stressed that the command to abort the landing came too late. Russian investigators say they closely co-operated with Polish representatives and the work was transparent. Some Polish experts, though, have said the documents provided by the Russian side “lacked” such important details as technical conditions at the Severny airfield in Smolensk. But Vladimir Markin, the spokesman for the Russian Investigative Committee, noted that investigators need to study more evidence to make a further report. Poland has so far not released any information regarding phone calls made by the passengers of the plane.